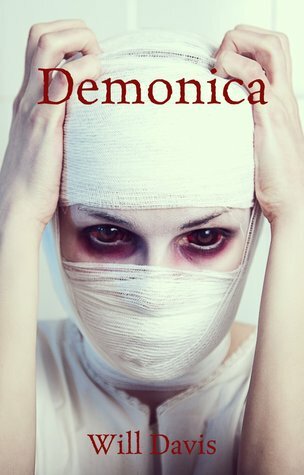 From Goodreads: When spoilt eighteen year old Miranda suffers a terrible accident she survives, but her face is hideously scarred. This is a novel of betrayal that runs deeper than any other I can think of. A mother who torments her daughter due to a lack of beauty; a daughter to obtains the ultimate revenge in the worst possible way against her mother. Any yet, neither find happiness in their evil ways, and it’s impossible not to hate them, but also impossible not to pity them as the story unfolds. The characters in this novel are awful, absolutely awful, but readers won’t be able to tear their eyes away as they learn of the tragedy that befalls Miranda, watching as she attempts to cope with her lot in life, especially as her mother torments her more each day. One would think that a tragedy like this would change a person, but in the end, it doesn’t, and like the bad accident that starts it all, readers just can’t look away. I cringe to think that people really do harbor so much selfishness and hatred within themselves that they’d be willing to so utterly destroy another, and yet that’s exactly what Veronica and Miranda do to one another. It’s appalling; but so well written that it pulls the reader in and doesn’t let go until the very end. Miranda’s very matter of fact way of telling her story adds a depth of poignancy that allows readers to truly see her heart, and though it’s hard to understand her actions and her hurt, her soul is bared wide for the reader. In truth, the story is superbly written. I loved obtaining Miranda’s insights about the accident, and the fact that she knew how petty she was, and commented on it many a time, made her very real to me as a reader. Would I like to get to know her in real life? No. I’d probably be one of those people on the sideline that quietly thought to myself that she got what she deserved, but in the end, no one, not even evil, despicable Veronica–a woman not fit to be a mother—or Miranda—a selfish, unrepentant young woman—deserve what befalls them in the end. This is a story that will haunt you as you read it, and keep you up way into the night wondering just how far a human can fall to allow these things to happen. Five stars. Hashtag Books has been extremely gracious in allowing me to read an ARC of this novel prior to its release tomorrow, December 1, 2013, in exchange for an honest review. This is a MUST READ. Another one for the Christmas list I think.